New information from the San Diego City Attorney's office suggests it may not take a recall to remove embattled Mayor Bob Filner from office. Jan Goldsmith told NBC 7 San Diego that since January, when the Filner administration really got under way, the mayor began playing fast and loose with city money. Now, Goldsmith said Filner's "brazen" character and conduct figure to cost him his office. "It's not a matter of 'if.' It is a matter of 'when,’ Goldsmith said. “At this point, we're going to give him an out. It's his choice. If he wants to resign, he's going to have some opportunity. I can't go into everything -- because I won't." In response to a request about whether the City Charter allows for any other avenue other than a recall effort to remove an elected mayor, Goldsmith issued a memo Thursday explaining a potential loophole. Goldsmith says Filner "intentionally, consciously" began leaving the city attorney's office out of the loop for legal reviews of his spending of taxpayer dollars. Amid the allegations of sexual harassment and unwanted sexual advances, there have been reports of questionable financial dealings tied to the mayor's office. Checks from a developer to the City totalling $100,000 were returned by the mayor after a federal investigation was launched. Mayor Filner said he would pay for a trip to Paris in June after the travel drew questions about whether state limits on gifts were violated. City Councilmember Kevin Faulconer, the Audit Committee Chairman, has been questioning the $21,000 charged to city-issued credit cards for the trip. Faulconer has asked the City’s COO to release all credit card invoices associated with the Mayor’s trip by Aug. 28. 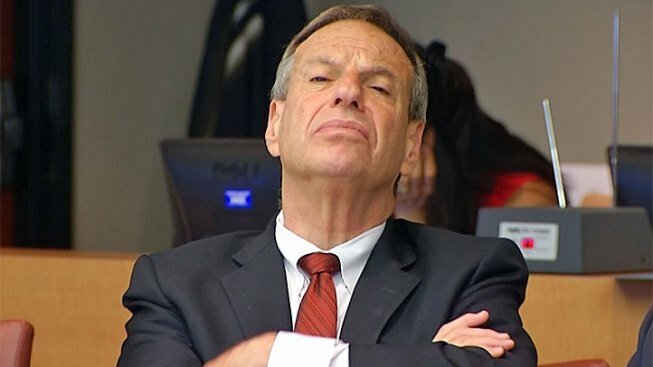 Also, NBC 7 Investigates has learned Mayor Bob Filner charged $511 at the Westgate Hotel on a city-issued credit card. The credit card statements show eight charges over a five-month period between January and May to the luxury hotel across the street from City Hall. A member of the mayor's security detail told NBC7 Investigates that a woman sometimes accompanied the mayor to the Westgate hotel during the work day, but would not provide further details on the purpose of those meetings. The charges range from $29 to $111. The hotel has two restaurants. The lowest room rate with a government discount is more than any of the individual charges: $133. In a statement released Thursday, Faulconer said the mayor’s office did not pay its credit card bill for several months beginning in January 2013. He also said the mayor’s account was suspended at one point for non-payment and was terminated on July 31. Faulconer also claims there is $975.08 in personal expenditures on the account that the mayor must reimburse to the city. The City Council will be presented the case for Filner's removal -- under any one, or all of those transactions -- in closed session on August 28 and if they sign off, it'll go to a "due process" hearing before the Presiding Judge of the Superior Court.